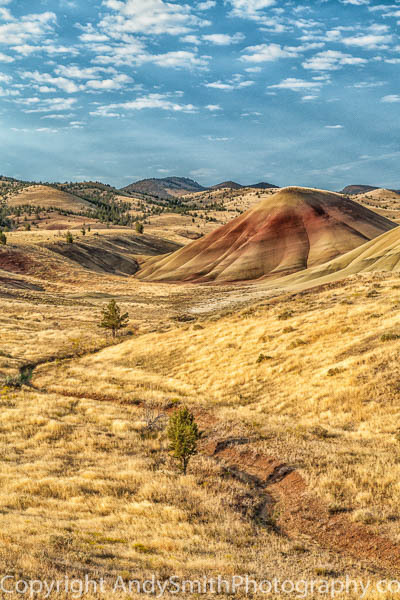 The Painted Hills in Oregon is an amazing assortment of red, yellow and white mounds from the Oligocene era between 38 and 24 million years ago. The reds represent wetter climates and the yellows drier climates. The soils were formed from volcanic ash over a period of four million years. It is one of the seven wonders of Oregon.